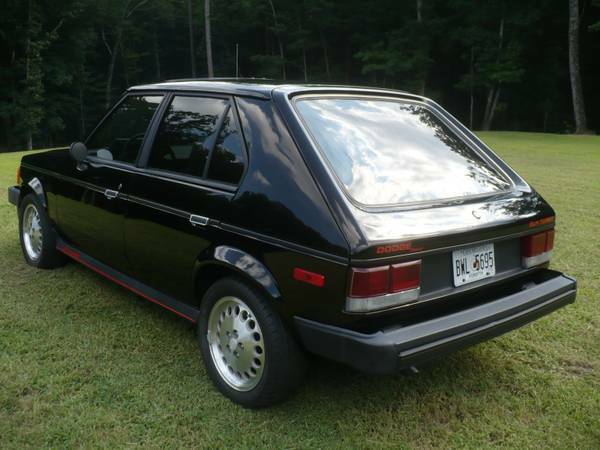 The GLH tag on the back of this Dodge Omni has nothing to do with Great Looking Hair -- the spray on hair-in-a-can bald spot cover that was all the rage back...well...when this car was new. It also has nothing to do with the regional airport located just outside of Greenville, Mississippi -- no, the GLH stands for Goes Like Hell, a name chosen for the car by Mr. Carroll Shelby himself to describe the little compacts willingness to accelerate. 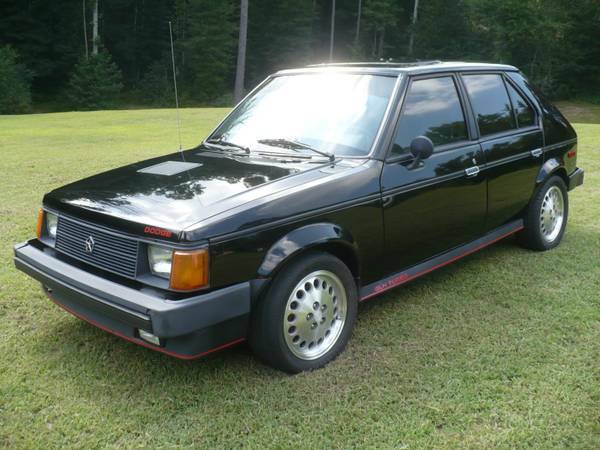 Find this 1985 Dodge Omni GLH Turbo offered for $5,200 in Gainesville, GA via craigslist. Tip from Matt C.
This little black beauty wears a new coat of black paint (how new? seller doesn't say) but the paint is at least a year old because this car was featured on DT February of 2015 with a $5,900 asking price. 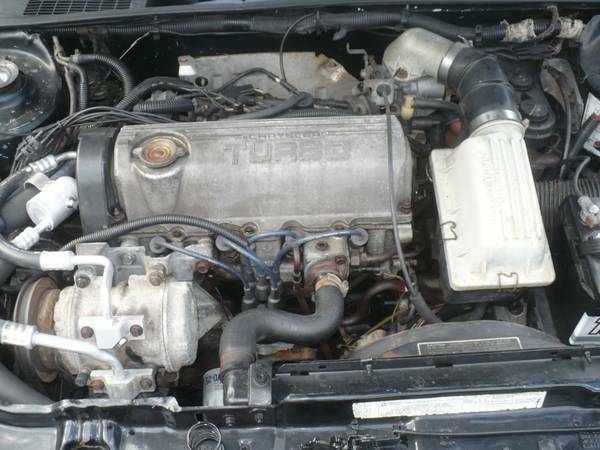 The same pictures from the listing a year ago shows the hopped up version of the Chrylser K-car 2.2 liter inline-4, the Turbo I. In GLH spec it is boosted to 146 horsepower, but the seller has added a Mopar computer chip for a few more horsepower. Pretty. Now, mind you, they were built like crap and nowhere near as nice to drive as the VW GTI, but definitely faster. If you're expecting the chicken-farmer's name to pull Ferrari appreciation, this one was the first and maybe best of the Shelby-Mopar efforts. If you're looking for an '80s scooter to drive at a reasonable price, go find a BMW 325is. Or that 5.0 Fox Mustang. Or, hell, a Saab 9000 Turbo. I only regret that I have but two thumbs up I can give for this car. I love this car. Wish I owned it.